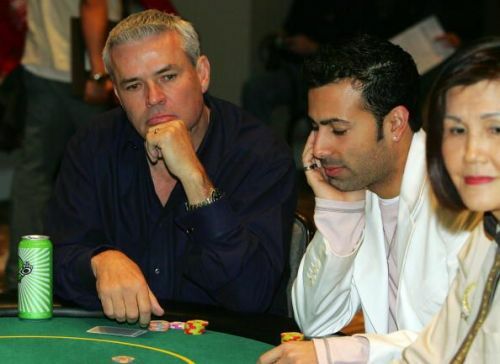 Few people have worked with as many professional wrestling legends as Eric Bischoff. Going a step further, few people have as much experience as Bischoff when it comes to working at the top level of the wrestling business. Beyond his work as a broadcaster for AWA and an on-screen authority figure for WWE, Bischoff ran the show at WCW and TNA at different points, ultimately being responsible for many of the top wrestling storylines and signings in history. Last year, Bischoff's podcast Bischoff On Wrestling disappeared with little notice. It was unclear whether the show was on hiatus due to Bischoff's busyness with other projects, or if he was changing podcast networks as some of his peers had recently done. Fortunately, this week Bischoff On Wrestling returned with new co-host -- Something To Wrestle With Bruce Prichard sidekick Conrad Thompson -- on the MLW Network for its first new episode in over six months. 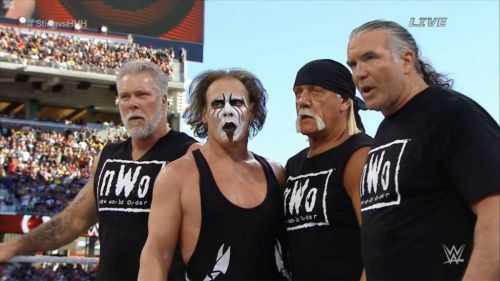 The aim of the episode was to give the history of the New World Order faction, finally answering many of the questions and controversies which Bischoff has felt to be misinterpreted over the years. The episode, as titled "Creating The nWo" is slightly over two and a half hours in length. As an appetizer for what to expect for the conversation between Bischoff and Thompson, here are just four of the things which I learned as a result of listening to the episode. Perhaps the most successful pro wrestling angle of the 1990s was the New World Order's "invasion" of WCW. Over the years, many critics have assumed that Bischoff lifted the concept of the nWo from Japan. Specifically, that Bischoff modified the concept of the nWo from UWF International's invasion of New Japan Pro Wrestling. Bischoff specifically dispelled this by saying that he did not base the nWo off of that angle, but he was influenced by Japanese wrestling's inclusion of more reality-based storytelling. He claims to have been unaware of that storyline, even though he had been spending extended periods of time in Japan during that particular era of running WCW as its Executive Producer. It must also be noted that the UWFI lost most of its matches when invading New Japan, which is quite different than the nWo's long-term success with championships. WWE News: Blacklisted WWE Star says "Vince McMahon didn't like my work"